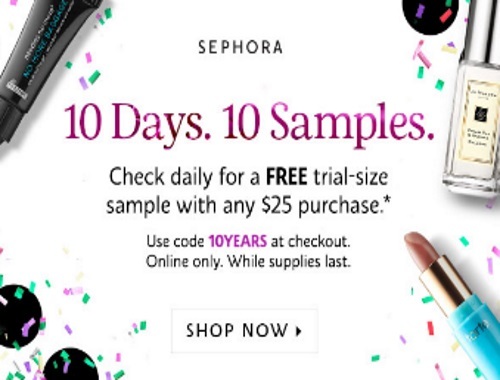 Sephora has a 10 Days, 10 Samples promotion on now! Uncover a new surprise everyday! This is to celebrate 10 years of their Beauty Insider program! I will be eagerly awaiting what sample will be able each day! Enter the promo code 10YEARS to get the deluxe sample online with any $25 purchase.